According to Tania Ganguli (LATimes), LeBron is ruled out for the game against the Sixers on Tuesday, but could return on Thursday against the Clippers. 35 days have passed since that Warriors-Lakers in which LeBron James fell injured. What, a priori, seemed somewhat unimportant ended up being an inguinal distension with no fixed return date, finally becoming the longest period of absence in his entire career. Today accumulates 16 days off in a month and four days, but it seems that the date of return is approaching. Segun confirmed Tania Ganguli (LATimes) , the star of the Lakers could return to the tracks next Thursday , date in which the two teams of the city will meet. 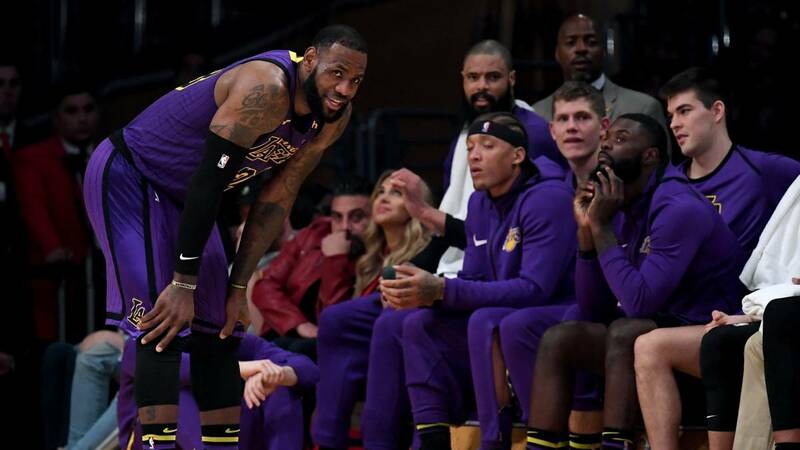 Prior to the match, the Luke Walton block will receive the Sixers on Tuesday although LeBron's presence in this match is completely ruled out. The Akron is increasing his workload. In the session on Monday he made several series of shots, to which he added a tour of the whole track and contact exercises. The latter picked them up for the first time last Saturday and, according to close sources without authorization to speak in public, the player wants to have a few more sessions before reappearing. A all this, Walton is cautious with his star. "We will see how he feels tonight, we will see how he feels tomorrow morning and we will keep track day by day and see how he continues", acknowledged the coach, who affirms that he will have him as seen in the training: "We did sessions of contact three minutes so, again, we will see how your body responds to that. If he says: "Hey, I feel very good, yes I can play", then we will prolong the duration of those exercises ". With this he would reach 17 low games, in which the balance of the team has drastically changed . With him on track (20-14) the team fought for the posts in the playoffs, but without him on the floor the story changes too. 6-10) have led the franchise to ninth place and on Thursday they would meet their neighbors Clippers, located one place ahead with a game and a half advantage. A duel m What's important after having to receive the Sixers with the doubts of Kyle Kuzma (hip) and Josh Hart (tendonitis in the knee). The one who will be for this match after two games of rest will be Tyson Chandler.